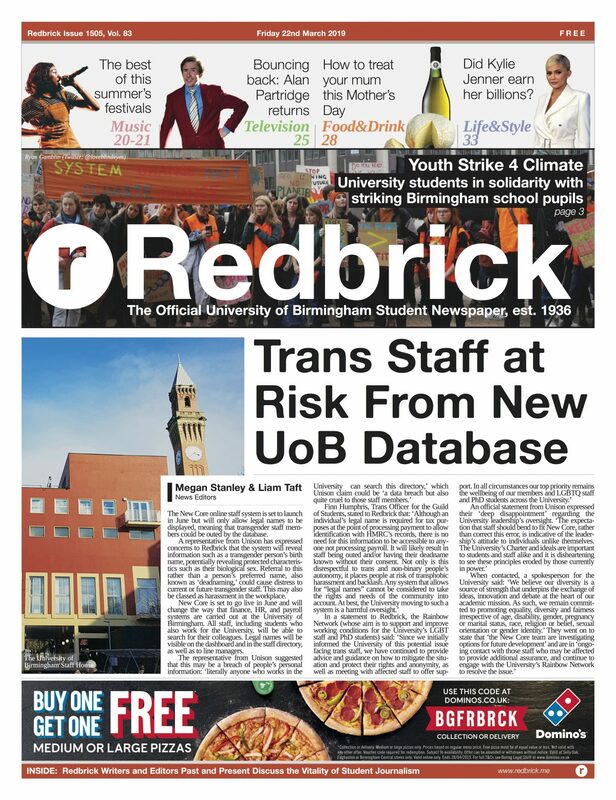 Redbrick gained exclusive access to the Green Heart construction site to learn more about the project. We learnt what it will look like, the struggles that the construction team have overcome, and how the space will serve students at UoB. The Green Heart is built on the site of the old library, which was demolished last year. The project leaders tell us that the old library was no longer fit for purpose. As the university has grown in size, the area became overcrowded. This led to the decision that the space should be opened up. Open green space was part of the original heritage of UoB’s campus before it was developed. Therefore, the team wanted to return to the original vision of the university’s founders. The plans for the project were drawn up by landscape architect Chris Churchman. Designers responsible for creating the 2012 Olympic Park were also involved. One major aesthetic component of the park is a bronze door sculpture, on loan from Birmingham Museum & Art Gallery, which is engraved with poetry by T.S. Eliot. Three shields will be on display, including the UoB crest, which were saved from the old library and have been restored by a stone mason. The Green Heart is designed like a ladder. On one side is The Rill – a large water feature which flows alongside the new library – and on the other is the raised walkway next to Muirhead Tower. Connecting these two elements together are several pathways and areas of green space. The Rill will be home to a range of plants, which will attract more wildlife to the area. Project managers hope this will protect the university’s biodiversity. 160 new trees have also been planted. These trees are partially grown and will develop white blossom in the spring. There will also be a sanctuary to protect the local hedgehog population. Attention has been paid to water management, which will prevent future damage on campus. An amphitheatre, predicting to hold between three and five thousand audience members, is being constructed where the North Car Park was located. This will provide space for performances from Guild drama groups and will also host university events, such as the Proms and Graduation Ball. This is especially beneficial for people using wheelchairs and white sticks, making the area more accessible. A large lawn will connect the library to Muirhead Tower, which will be home to a new food outlet. One reason for constructing the raised walkway near Muirhead Tower is to cover up the lower levels of the tower, which were never intended to be on display. Another reason is to provide a more direct route between the university and Pritchatts Road. The Green Heart will also provide outdoor study spaces for students. An additional 70 Wi-Fi spots have been provided to ensure that visitors can access the internet, as well as many USB ports. A new learning centre is being constructed near the Green Heart. This will house more lecture theatres, seminar rooms, and independent study spaces. The project has been controversial amongst students, especially regarding funding. Two years ago, a banner advertising the Green Heart which was draped across the old library cost £27,000 (or the price of a three-year degree). This caused an outcry. Many believe that the funds for the project could have been allocated elsewhere, for example towards mental health services. Questions have also been raised about the purpose of the project. Some have claimed that the Green Heart is a vanity project used to advertise to prospective students. Stephen agreed that this is partly the motivation behind the project, but disagreed that it’s the primary aim. The construction of the Green Heart is on schedule to open in January 2019, despite flooding earlier in the year and high temperatures during the summer heatwave, which threatened to kill trees in the area. A small opening ceremony is scheduled for the New Year, in which the Vice Chancellor and the Guild President will open the North Gate for the first time. This will be followed by more events in the spring and summer months, culminating in the Graduation Ball in June.